Business can sometimes feel like a rollercoaster. One year you are up, the next you are down depending on market conditions, customer whims and changes in consumer trends. The team at Redbird Consulting are experts at building sustainable, long-term growth plans built on deep strategic insights on how categories and brands grow, true customer centricity, an aligned and focused team and a big dollop of creativity. 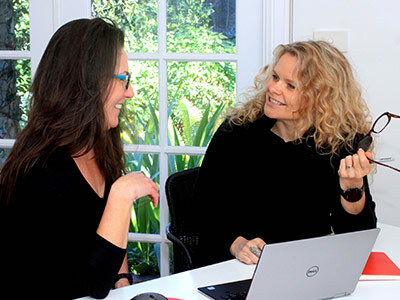 We passionately believe that business planning can, and should be a fun, inspiring cross functional experience that gets the whole business aligned. What If… we could share our passion, knowledge, creativity, our sense of fun and collaboration, to drive infectious, sustainable growth - for us, our customers, our partners/suppliers and our community? That’s why we started our business and that is why we think we can help your business. Between us we have over 50 years of insights gathering, strategy building, workshopping and actually doing a whole lot of activating. All these skills were honed working on some of the world’s biggest brands. We love working with people to create a category/brand strategy that endures. We believe 2 heads are better than 1, growth planning should be fun, each meeting should start with a discussion on something a bit different, random and fun and that meetings don’t need to be held at a table in fact, some of our best work is done while bike riding. We believe in collaboration and breaking down silos. We believe Sales and Marketing divisions should not be divided, that a strong partnership coupled with healthy debate and challenge can produce incredible results for all. We believe in strong trust-based relationships, straight talking, openly challenging, no hidden agendas and a lot of laughter. We are passionate about sharing the love and helping our community. For more info on what we spend some of our time and part of our profits on…. If you like us too, get in touch! Sign up here for regular updates and articles, we will be sharing the latest news and opinions on insights, strategy and marketing.